2015 SAF Scholarship Recipient - Shufflin' Along LLC. Congratulations to Nia Savoy! She is the 2014-2015 recipient of the Shufflin' Along Foundation Scholarship. Nia Savoy is no stranger to the stage. She is an actress, singer, dancer, choreographer, and writer. She is a member of Galilee Baptist Church where she is active in the youth choir, dance ministry, Girls on Christian Assignment, and Girl Scouts. She is a faithful member of the music ministry at Galilee and is featured on their recent live recording. A senior at Caddo Magnet High School, she has performed in over 30 plays and musicals and has gained recognition at the state and national level. 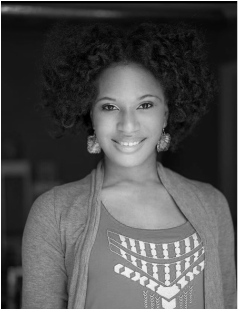 She has worked with Extensions of Excellence, Mahogany Ensemble Theatre, Academy of Children’s Theatre, Shreveport Little Theatre, and Stage Center. Nia has received training from The New Orleans Center of the Creative Arts, Christian Dance Center, Louisiana Interscholastic Vocal Ensemble, New Dimensions Youth Chorale, under the direction of Julie Lester, Patti Reeves, Ta Cook, Ekaterina Wise, Natorshau Davis, and Jennifer Dowd. In 2012 and 2013, she won the All-star Award and Outstanding Performance by a Female at the Junior Theatre Festival in Atlanta, GA, which granted her the opportunity to perform in New York City with iTheatrics piloting James and the Giant Peach. In June 2013, she went to the International Thespian Festival and competed in Individual Events (Solo Musical). Out of the 600 competitors, Ms. Savoy was chosen as one of the top 12 to perform at the Lied Center in Lincoln, Nebraska. In June 2014, Nia was granted the opportunity to work with Marc Shaiman and Scott Whitman, composers of Hairspray, Catch Me If You Can, and Smash. In July 2014, Nia competed in the Michael Feinstein Great American Songbook Competition in Carmel, Indiana, and won the Inspiration Award. She plans to further her education and go to college to major in Musical Theatre at Howard University. She also plans to become a Broadway actress.